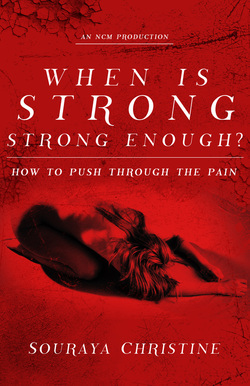 When is Strong – Strong Enough gives a riveting account of the life events of author, Souraya Pinkston. Although Souraya is not a celebrity of any sort, her mission, with this book, is to provide an avenue of self-help for any young female who may be struggling with molestation, abuse, lies, promiscuity, alienation, death, teen pregnancy, or any other traumatic situation. Sourayas’ family was what we call a “sweep it under the rug” kind of people. No one really discussed issues, which caused Souraya to “deal” with her experiences the best way she knew how – on her own. It wasn’t until adulthood that she sought counseling, however, each time she left with the feeling that her level of knowledge surpassed that of the therapist who intended to help her. As a result, she was left feeling unsatisfied and un-rescued. This book details Sourayas’ bad decisions, wild ways, and subsequent recklessness as she learned to cope with her tragedies, process pain, and ultimately forgive and love herself. She is still a work in progress, but as a recently baptized Christian, she is slowly learning to trust again and to extend her new-found love to others. This is a gripping true story that will have you on an emotional rollercoaster from beginning to end!